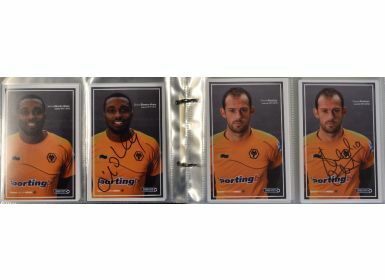 Collection of Wolverhampton Wanderers player portraits from seasons 2011/12 to 2014/15 superb condition for which many are autographed by the players. Very Good. (200+ in total, over 100+ hand signed).